On August 29, 2016 the new provisional waiver rule went into effect. This rule expands the class of individuals who may be eligible for a provisional waiver (I601A) in the United States. The provisional waiver allows certain individuals who are present in the United States to request from USCIS (United States Citizenship and Immigration Services) a provisional waiver for unlawful presence ground of inadmissibility before departing the United States, rather than applying for a waiver (I601) abroad after their immigrant visa interview. This process allows for families to stay together. The new rule has expanded the class of individuals that are eligible for the provisional waiver. 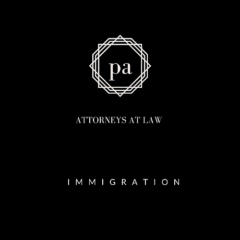 Applicants must establish that their U.S. citizen or lawful permanent resident spouses or parents would experience “extreme hardship” if the applicants are not allowed to return to the United States. If you think this may apply to you or if you have any questions regarding this regulation please call us today. Pastor & Associates will be moving our Troy office. The new Troy location will be 575 E. Big Beaver Rd, Suite 150, Troy, Michigan.